Yes, I admit- Today I favor the Falafel over the Burrito. I personally enjoy Jetty Surf Cafe on Roosevelt Blvd. 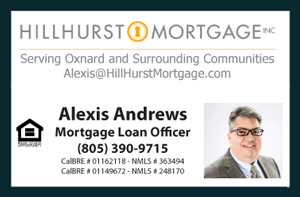 within the Silver Strand Beach Neighborhood in the beautiful coastal city of Oxnard, California. Coastal living at its finest! I enjoy the food and the beach access- perfect for quality walks with friends and family. This is truly a unique place to indulge your tastebuds with Mediterranean food and immediately take a walk on the beach. Silver Strand is a one-mile-long sandy beach. It is capped by the north and south jetties which both have small parking lots and limited restroom facilities. Silver Strand beach, known as well as "The Strand" or "Strand", is a neighborhood of mostly single family homes, Multi-Family homes, and newer homes uniquely located directly on the beach. There are two small commercial areas. The main commercial zone is around Roosevelt Boulevard and consists of a collection of small restaurants, a yoga studio, a few real estate offices and other small businesses. The second commercial zone is located at the southern part of the beach and features a local pub with occasional live music.